The Eileen Fisher Leadership Institute has an amazing community of artists, educators and entrepreneurs who help make EFLI programs such an incredible experience for all who participate. Learn more about who makes up the EFLI community below. We're hiring! Learn more about our open jobs and internship opportunities here. 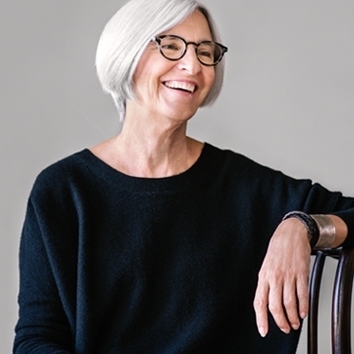 Founder and Chairwomen of EILEEN FISHER Inc., Eileen began EF Inc. in 1984 with $350 in her bank account and not knowing how to sew. Now, thirty years later, EILEEN FISHER has stores across the US, UK and Canada. The Eileen Fisher Foundation and Eileen Fisher Community Foundation support programs for women and girls worldwide. Co-creator of the Eileen Fisher Leadership Institute, Cheryl Campbell also launched GREEN EILEEN (now RENEW), a recycled clothing initiative that supports non-profit programs to enhance the lives of women and girls.